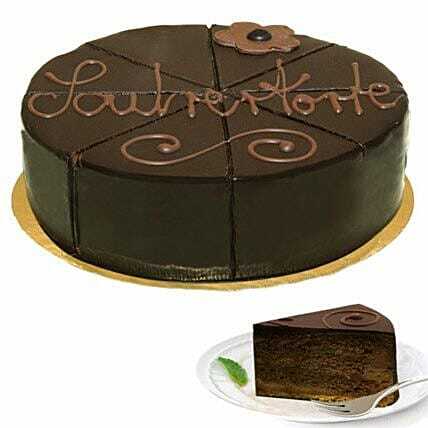 Sacher cake filled with nougat cream as well as apricot jam. The cake is covered in dark chocolate. The cake weighs aprox. 600 g. and has a diameter of 16 cm. The cake is delivered in a fail-safe gift box.